The corrected paperback edition of a title first published in 1989. 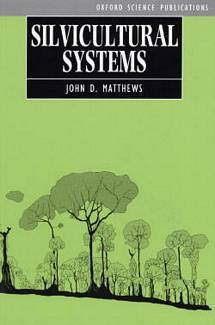 Described the theoretical basis and practical application of 20 silvicultural systems so that foresters and other land managers, ecologists and landscape designers can select and use those best suited to their needs. Paperback. 284pp, Paperback. b & w photos.